New Rally Game by CodeMasters! This will probably be my favorite video game for a long time. I love Gran Turismo because of the Nurburgring, but stage rally is AWESOME! The DiRT franchise is one my favorites, but it was always a little too arcade-like for me. 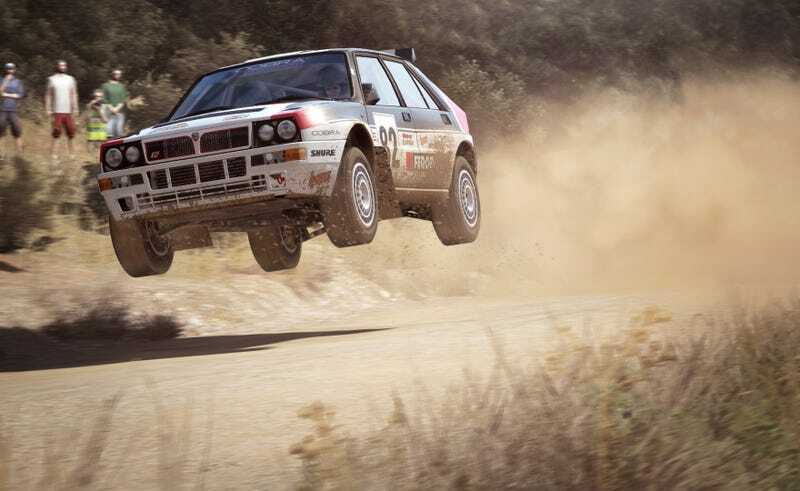 DiRT Rally looks to be more like a rally simulator. In addition to choosing your car and setup and even performance mods, you get to choose your four engineers or mechanics, each with different skill sets, and they evolve with the team if you keep renewing their contracts. The cars take on real damage and only so much can be repaired during the limited service stops. Even cooler is that Pikes Peak will be released soon - both fully paved and the older mixed surface course. Other updates are to include new stage rallies, rallycross tracks, and more rally cars. The game is available for “Early Release” download on Steam for $31.49 so I put all the details I could find, plus all the screenshots, plus recorded in-car video game play into one post summarizing the games features. DiRT is still not quite at the Richard Burns Rally level but it might evolve to take the title given the proposed updates and downloads planned for later this year. Kinja user RyteNau has already downloaded the game and provided some Pro’s and Con’s here. Im downloading the game and hope to provide my comments too. Mostly on driving feel and accuracy of the percents but it looks pretty good so far!